Are behavior detection techniques effectively spotting alleged terrorists at U.S. airports? A new GAO report is casting doubts. Congressman says TSA is "an agency in total disarray"
Washington (CNN) -- A new report by the Government Accountability Office says behavior detection techniques failed to lead authorities to at least 16 alleged terrorists who traveled through U.S. airports. The Transportation Security Administration's program to use special officers to spot suspicious behavior began in 2003, but the GAO questions the scientific basis and effectiveness of the techniques. 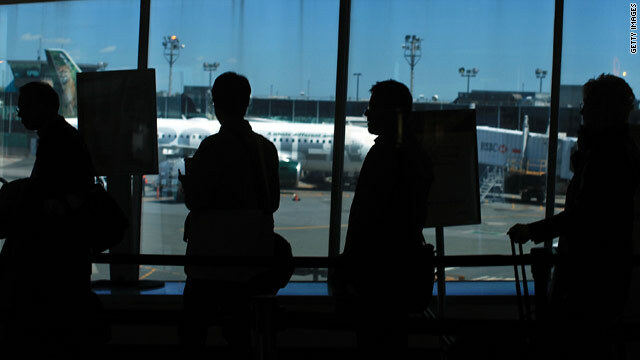 The unclassified version of the report released Thursday did not name the suspected terrorists who the GAO says were able to pass 23 times through airports where behavior detection officers work. But officials involved in crafting the report said the cases included that of Najibullah Zazi, a Denver shuttle driver who authorities said plotted to set off bombs in New York City's subway system. Zazi pleaded guilty to providing material support to al Qaeda. The officials said the TSA also missed David Headley, who pleaded guilty to scouting targets for the 2008 Mumbai, India, terror attacks and flew out of the U.S. to do his reconnaissance. Rep. John Mica, R-Florida, suggested a 17th case: that of Faisal Shazad, who allegedly plotted to blow up a car bomb in Times Square. Mica said it was a "Marx Brothers production" when Shahzad, being sought by authorities, tried to fly out of the United States two days after that failed attack and was apprehended when he was already on a plane. Mica, the top Republican on the House Transportation and Infrastructure Committee, asked for the GAO report. Although Mica supports behavior detection, he said the TSA has not carried out its program effectively. "It leads me to again call for reorganization of TSA," Mica said at a Capitol Hill news conference. "TSA is an agency in total disarray." Mica noted the agency has been without a permanent leader during the Obama administration and the president this week announced his third nomination for the post. Two previous candidates withdrew. The GAO report said between May 2004 and August 2008 detection techniques led to the arrests of more than 1,100 people but not because of suspected terrorism. Instead the people were found to have committed drug or other offenses. A TSA statement called its program "a vital layer that enhances security at the nation's airports." It also noted the 2008 arrest in Orlando, Florida, of a person carrying components for a pipe bomb. The GAO made a number of recommendations, including that TSA should have an independent panel of experts examine its scientific methods, and that TSA should do a cost-benefit analysis to see how effective behavior detection is compared with random screening and other methods. The GAO also said if there is airport video of any of the suspected or admitted terrorists, that would be a valuable tool for behavior detection officers to study. The TSA said it plans to implement a number of GAO's recommendations. TSA uses behavior detection as one of 20 layers of security protection. As of March about 3,000 of the specially trained officers were working in 161 U.S. airports. The administration's latest budget request calls for $232 million for the program.